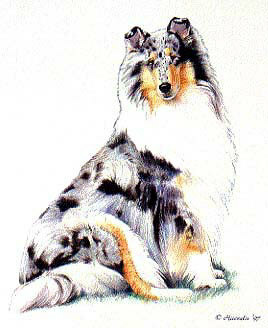 I have been a collie fancier since I got my first collie Kiita in 1978. 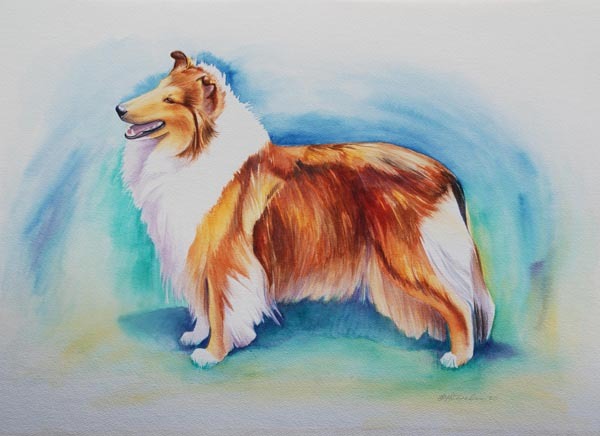 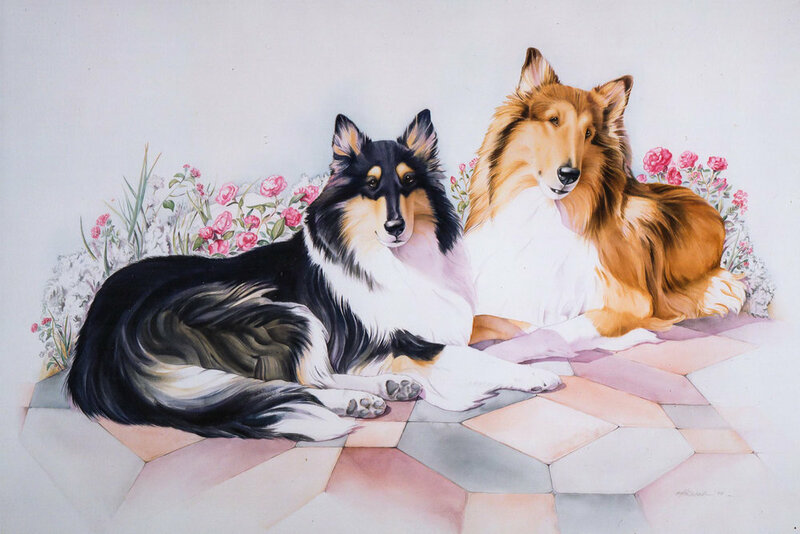 I started to draw and paint collies immediately and has since painted some of our most beautiful & famous collies in the USA, Canada, & Britain. 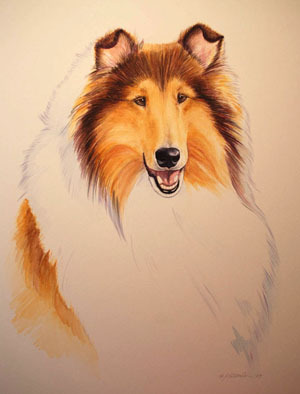 To say they are my passion is an understatement and I believe it shows in my work. 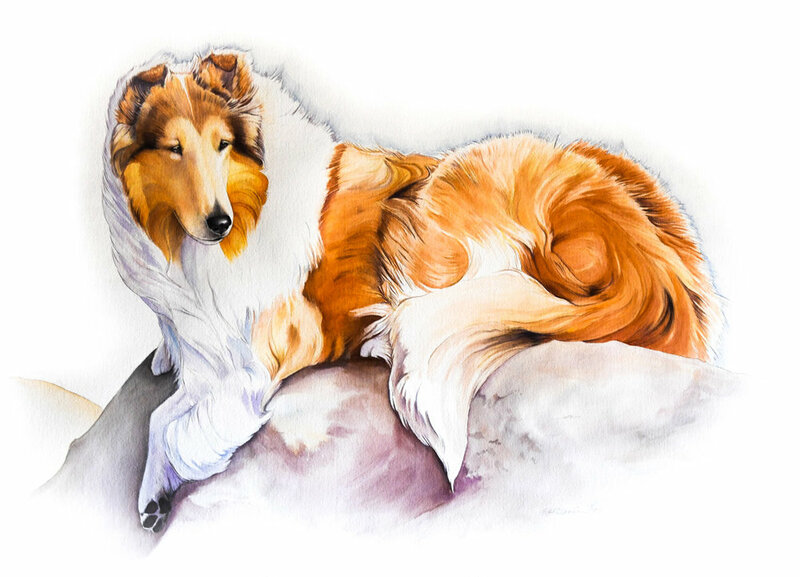 "Girl With Collie Pup" 22 x 28"
"English Collie Sitting On Couch" 22 x 28"
"Squishy Herding" 15 x 20"